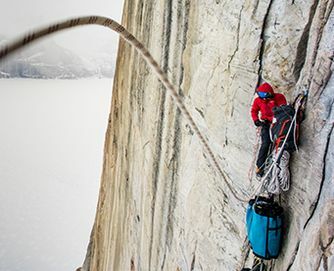 MAXIM® Ropes are your perfect climbing partner for gym, sport, trad, ice, mixed, top roping or even mastering big walls. 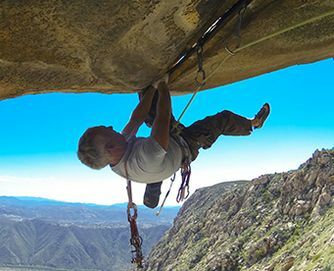 The MAXIM engineering team has its finger on the pulse and utilizes the latest in rope technologies in order to enhance your climbing experience in safety, performance and handling. The Warning Track tracer system delivers a 1.5 meter middle mark and end of rappel warning system by increasing the number of red yarns as you get closer to the end of the rope. 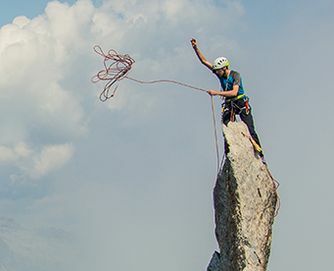 The Endura DRY is the original dry rope treatment and when applied to the sheath it creates ropes that meet the UIAA water-repellent certification. Bi-Patterns ropes change the color patterns at the mid-mark which makes it immediately noticeable. Once you climb bi-pattern you’ll never go back. Our Str8 Jacket technology delivers the ultimate performance and longevity in indoor climbing gym ropes. This technology adds a mid-sheath to the ropes which helps them stand the test of time. 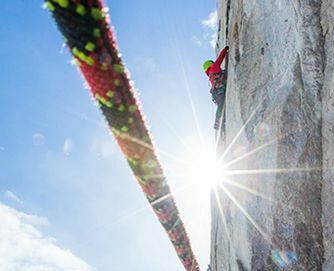 Through corporate sponsorships, and our international climbing team comprised of today’s top athletes, we are actively involved in the climbing community. MAXIM product development is born from their experience, testing and ideas. The results are dynamic climbing ropes and bomber static ropes, accessory cords and throwlines that are easy to handle, perform at peak levels and deliver an extra-long service life. In addition, the MAXIM product designers always strive to create ropes with outstanding designs.